DEiXTo | Web data extraction made easy! GUI DEiXTo, an MS Windows™ application implementing a friendly graphical user interface that is used to manage extraction rules (build, test, fine-tune, save and modify). This is all that you need for small scale extraction tasks. DEiXToBot, a Perl module implementing a flexible and efficient Mechanize agent (essentially a browser emulator) capable of extracting data of interest using GUI DEiXTo generated patterns. It contains best of breed Perl technology and allows extensive customization. Thus, it facilitates tailor-made solutions. DEiXTo CLE (Command Line Executor), a stand-alone, DEiXToBot-based, cross-platform utility that can massively apply an extraction rule on multiple target pages and produce structured output in a variety of formats. 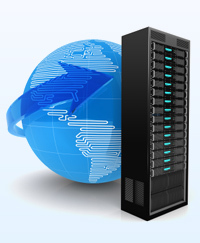 DEiXTo can contend with a wide range of websites with high precision and recall. It provides the user with an arsenal of features aiming at the construction of well-engineered extraction rules. Wrappers built with GUI DEiXTo can be scheduled to run automatically providing automated access to resources of interest and saving users a lot of time, energy and repetitive effort. DEiXTo is developed by Fotis Kokkoras and Kostas Ntonas. 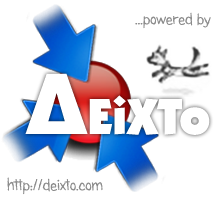 ΔEiXTo is an acronym for Data Extraction Tool.